Turn the spotlight on for normal hair, don't just clean up your act, Herbal Essences Dazzling Shine Shampoo will make you shine like a star! This nature inspired cleaning formula will let your beauty shine through while leaving your hair with a refreshing citrus scent. 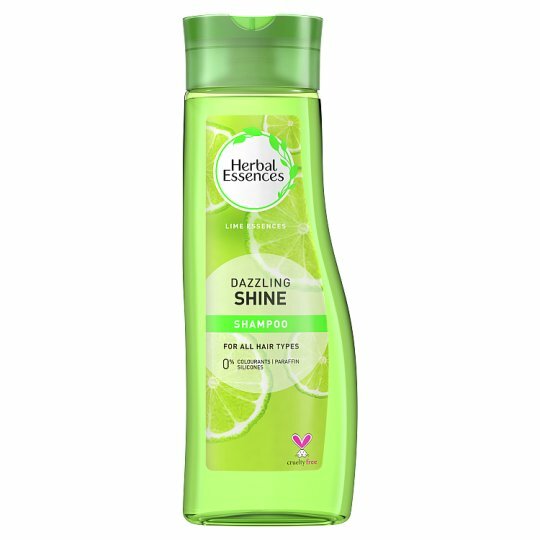 For better results use with Herbal Essences Dazzling Shine Condtioner. Simply apply shampoo generously to wet hair, massage into a creamy lather, enjoy the scent, and rinse. For more beautiful hair, use with Herbal Essences Dazzling Shine Conditioner.